Situated right on Amsterdam’s stunning Canal Loop UNESCO Heritage site, the Ambassade Hotel is undoubtedly one of the gems of the city. Housed in a beautiful building dating back to the 17th century, the independent boutique hotel began life 60 years ago in one townhouse. Over the last few decades, the Ambassade Hotel has slowly expanded out to its neighbouring townhouses. Despite now spanning across ten-interconnecting houses, the hotel still feels, friendly and intimate while retaining much of its original charm, from the impeccable personal service to the understated regal décor. 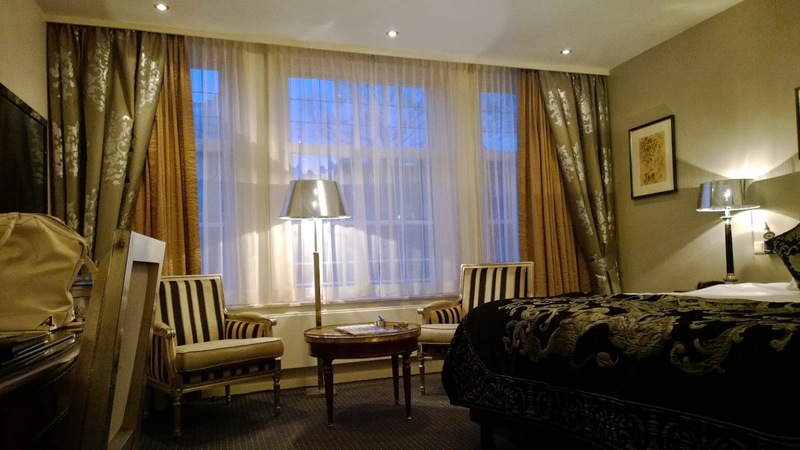 Located on the Herengracht canal, the Ambassade Hotel is fortunate enough to enjoy an extremely picturesque setting. I was fortuitous enough to stay in a canal-facing room, which I would thoroughly recommend. There’s nothing more ‘Amsterdam’ than waking up with a beautiful view of the iconic canals. 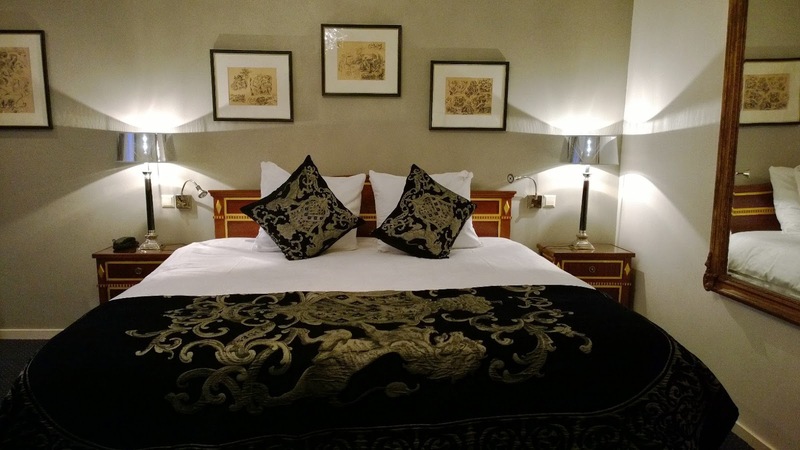 As well as being by one of the prettiest canals, the hotel is extremely central and is just a short walk from pretty much everything in Amsterdam from Dam Square to Leitsesplein Square. During my stay, I walked absolutely everywhere and it was nice not to have to rely on public transport or cabs. 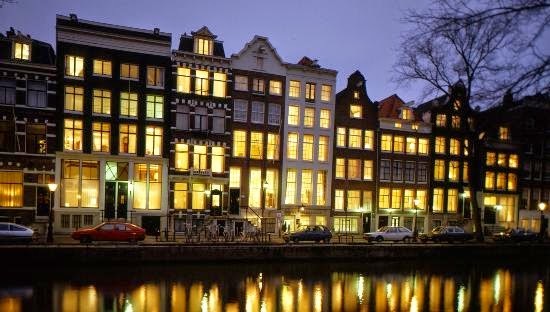 The hotel is also a few minutes’ walk from Amsterdam’s De 9 Straatjes, or the 9 Streets shopping district. Unsurprisingly, this was one of my favourite areas in Amsterdam. Arty and slightly bohemian, the area is home to lots of designer and independent boutiques as well as art galleries, jewellers and gift shops. The biggest USP of the Ambassade is that it is somewhat of a literary hotel and a retreat for authors, hotel owner Woulter Schopman owns a publishing house and the hotel has been home to several authors who have visited The Netherlands. 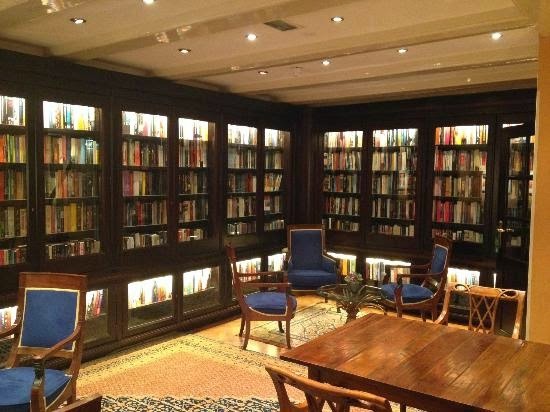 The hotel library is a cosy haven which started in 1987 and features countless shelves of signed books by the hotel’s illustrious previous guests. The library was one of my favourite areas in the hotel and I took advantage of the peaceful sancutuary to both read (on my Surface tablet) and write a couple of blog posts. I had a quick tour of a few rooms and suites after settling into my own and I have to say, every room was exquisite in its own way. The majority had canal views and this is unsurprisingly one of the most common requests that the Ambassade receives from guests. There are also a few rooms without canal views and they are equally lovely, very quiet and serene. Most rooms had their own colour scheme; my own room was decorated in a soothing royal blue colour with imperial gold accents. The room was surprisingly sizeable for a European hotel, with more than enough room to house the comfortable king-size bed, armchairs, table and desk with plenty of room to spare as well as ample storage space. 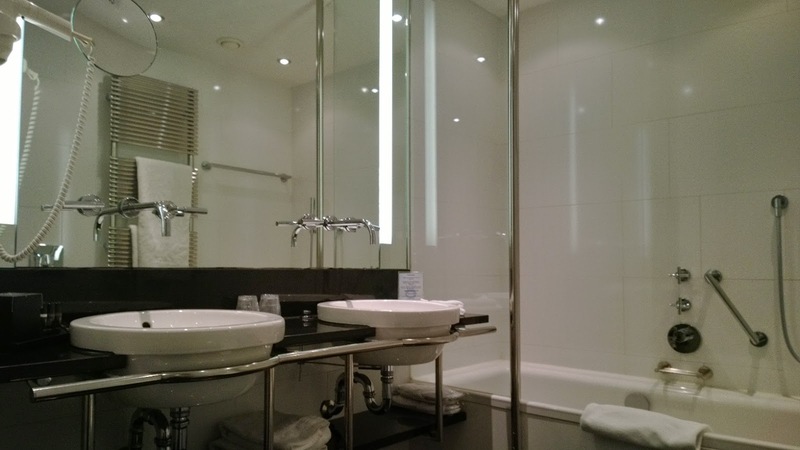 The bathroom was absolutely stunning, with twin sinks and a very refreshing rainfall shower. One of the most unique, individual and distinctive hotels I have stayed in, The Ambassade Hotel is an extremely rare mix of impressive and striking together with down-to-earth familiarity, making it a wonderful base for exploring Amsterdam.